Make this striking quilt that only has one block. The design and interest are developed by color/fabric placement. 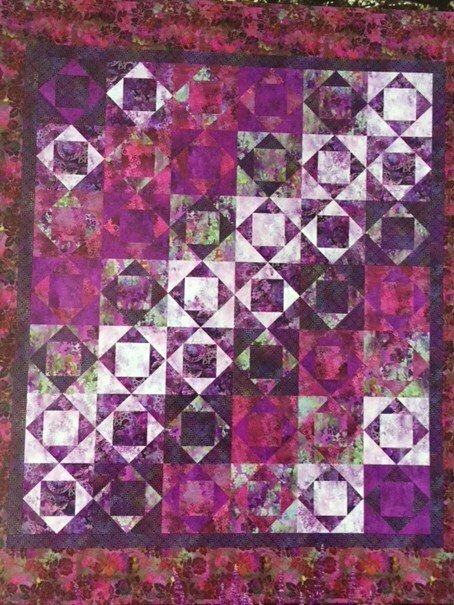 The sample was made using the delicious new Diaphanous Collection by Jason Yenter for In the Beginning Fabrics, but there are many other fabrics to choose from that would work as well in this quilt.